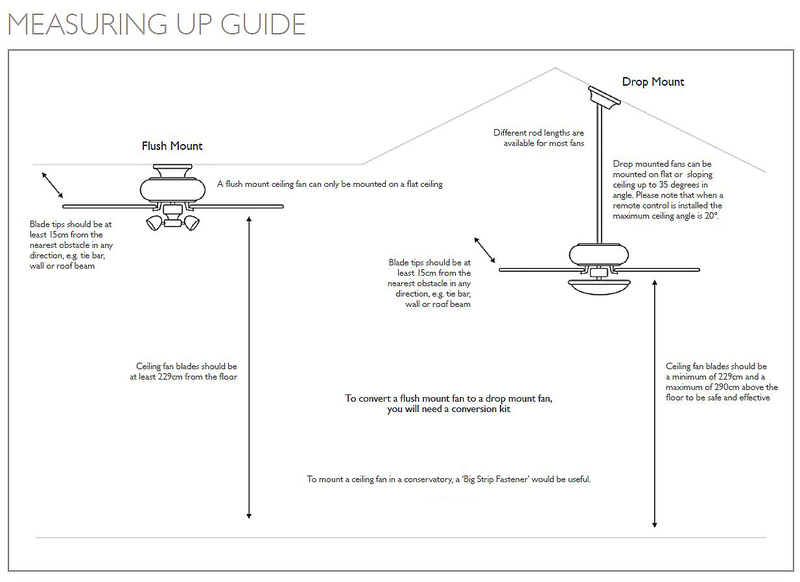 A conversion kit is used to convert a flush mounted fan to a drop rod style. A Conversion kit will allow a fan to be mounted on a slope up to 40 degrees. Fans which require a conversion kit in order to fit a drop rod - Gemini, Mayfair, Capri, Amalfi. The conversion kit in essence does the job - however - it does not contain the required length of electrical wiring/clips associated with the length of extension rod chosen - luckily my partner is an electrician & was able to rectify this himself - but for all you DIY'ers - be prepared to purchase a few extras not contained in the kit. 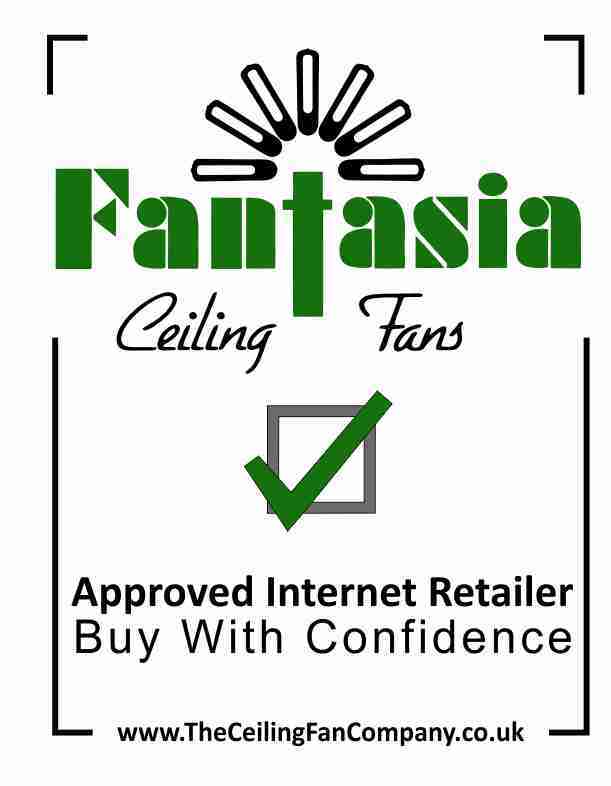 We have a new conservatory with a ceiling height of 13 feet and we needed to lower our existing fan. The conversion kit was easy to install and the fan was up and running soon after to great effect. Good price too! Click the button below to add the Conversion Kit to your wish list.